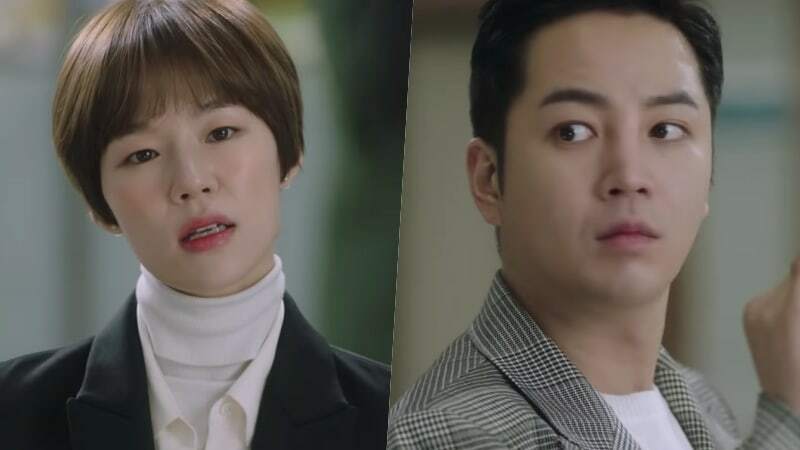 SBS’s new Wednesday-Thursday drama “Switch” has dropped its first teaser video hinting at interesting things to come for lead roles Jang Geun Suk and Han Ye Ri. The video begins with Sa Do Chan (Jang Geun Suk) confidently walking with his posse while a voiceover says, “He’s a famous conman,” and “His IQ is 168. He’s a total genius.” The scene then cuts to Han Ye Ri taking down a suspect and introducing herself as prosecutor Oh Ha Ra. Prosecutor Baek Joon Soo (Jang Geun Suk) is driving when a truck comes barreling his way, and a voiceover mentions that there exists a person who looks just like him. Oh Ha Ra can then be seen shouting Baek Joon Soo’s name and hugging Sa Do Chan tightly as she says, “This is a divine intervention.” Finally, she says, “We need this man,” and Sa Do Chan transforms into prosecutor Baek Joon Soo. As the follow-up to “Return,” “Switch” will begin airing in March.